The Largest selection of Beds, Sofabeds, Mattresses and Bedding in Warwickshire. 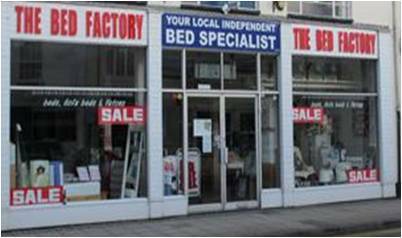 Established for over 20 years in Leamington Spa, The Bed Factory have built a reputation for service, quality and impartial advice, ensuring our customers requirements are met to the fullest. We have a wide selection of products covering the 3 floors in our Regent Street store.